As an educator, I have had so many moments that have taken my breath away; working with kids, we often find ourselves truly inspired. 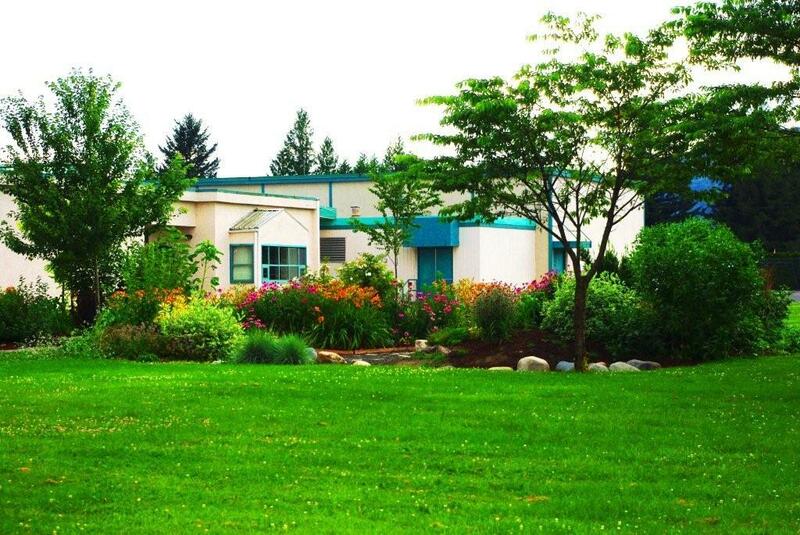 On Thursday, April 14th, 2011, I had the privilege of being inspired by every student at our school in a way that I can honestly say, had me leave the school that evening with a memory of the best day I have ever had as an educator. The idea of Identity Day started at Forest Green School in Stony Plain, Alberta and was shared with the world by George Couros. I presented this idea to our staff in 2010 and they agreed that they would be willing to take a risk for kids and give the idea a try. Part of our school goal is to have our students “develop their unique talents and interests” so this idea felt like it was made for our school. The idea behind Identity Day is that students create a project on themselves; there is no criteria, no grades, and no set topics. Students were encouraged to design a demonstration, video, powerpoint, slideshow, poster, display or anything that would help the audience to learn something about them. (see Prezi on Identity Day here). The idea was that each student and staff member would present in a way that shared a talent or interest about themselves. 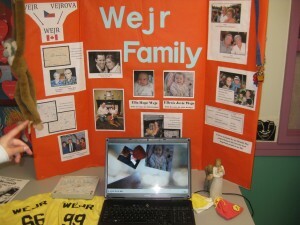 My project on the "Wejr Family"
Students were given about a month to prepare their projects along with some class time. Families were encouraged to be involved and those students that struggled were given extra support from older students and staff members. After presenting to each class, I was not sure how the day would go (whenever I bring a different idea/event to the school, I get nervous about the result); there was not a whole lot of interest a few weeks before… but when students began to bring in their projects a few days prior, we could feel a huge buzz in the school. Kids were bringing in Lego, pictures, books, posters, stuffed animals, sports memorabilia and equipment – the students were beaming with pride about their projects. 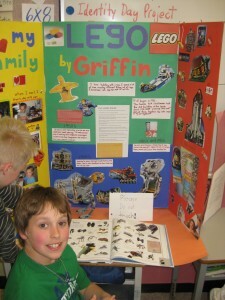 A Grade 5 student's project on "Lego"
others about what was important to them! We had students bring in all sorts of animals (including a goat!) as well as so many things that were meaningful to the students and staff. They presented and taught others everything from “stuffies” to “animals” to “sports teams” as well as things more personal like “things I like” to “my family”. It is so difficult to put the day in words; you had to be in our school to truly get a sense of the pride and excitement in our students. 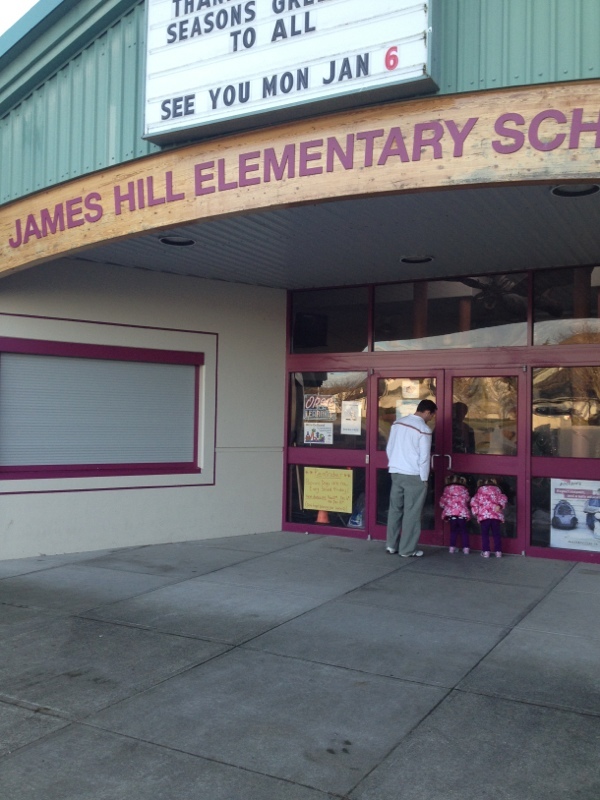 Our school was full of parents, community members and students all genuinely interested in each other. I learned more about our students in one day than I do in an entire year! Because of Identity Day, I can now approach any child in the school and have a conversation about something in which they are interested. In the past week, I have stopped students to ask about dance, Lego, their family, and various sports. What better way to have students proud of who they are than to have them showcase…. who they are! Every child has a gift; it is up to us, as educators, to create the environment that encourages the student to develop this strength and passion. 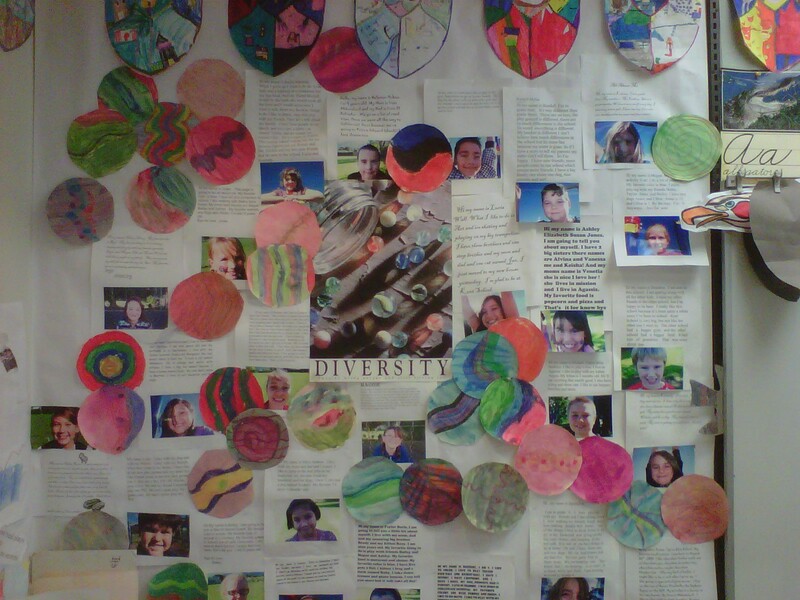 Identity Day is one example of the many things we are trying to do at Kent School to help children find their gifts. If you have any questions on bringing Identity Day to your school, please comment or email me at chriswejr@gmail.com or on Twitter @mrwejr. I want to thank the students, families and staff of Kent Elementary for their outstanding efforts. Also, thank you to George and his school for the idea and the encouragement to bring something truly amazing and inspiring to our school. 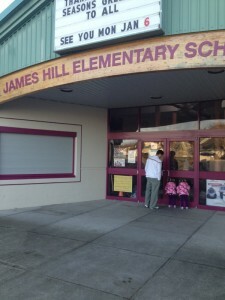 Inspired by Cale Birk’s (@birklearns) post encouraging bloggers to post 10 photos of their school, I went around my school Friday and snapped some pics. Here is a quick tour of images (actually 12 pictures) from Kent Elementary School in Agassiz, BC. Enjoy! 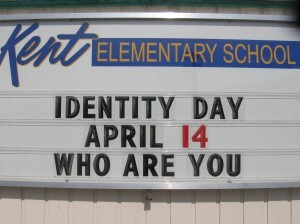 Our school sign currently promoting "Identity Day" next week! Thanks @gcouros for the idea! 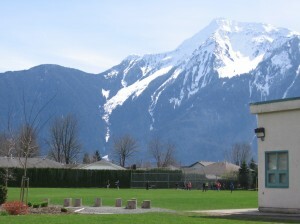 The back field of our school with beautiful Mt. Cheam towering over us. Our intermediate playground is just around the corner. We do not give out awards at our school. 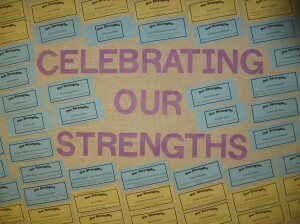 We recognize and honour each student for their strengths. Next year, I am hoping to line our walls with posters created by students that showcase their strengths and passions. Our housepost at the front of our school, designed and created by artist Don Froese who currently resides in Seabird. One of our classrooms is packed most lunch hours with knitters. 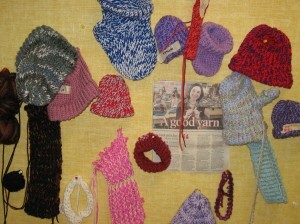 Our knitting club began after a huge interest was observed in our CHOICES program. 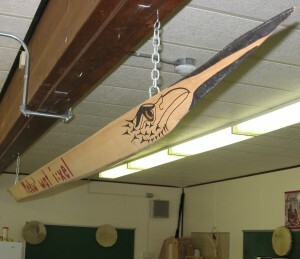 Our model of a racing canoe that hangs in one of our clasrooms. Designed by local Chehalis artist, Rocky Larock, it reads "Mekw' wat i:xel" which is Halq'emeylem for "pulling together" - a motto at our school. 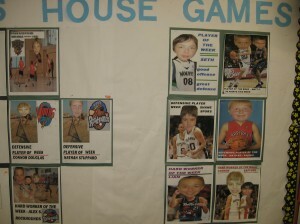 Intramurals/House Games are huge at our school. 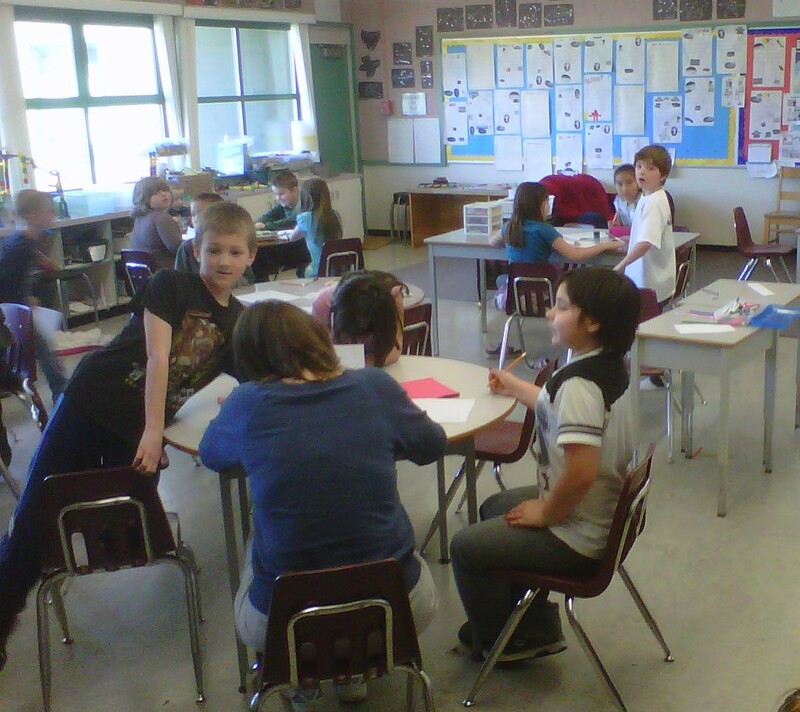 Run by a few teachers, they occur Monday-Thursday at lunch throughout the year for our intermediate students. The participants each get recognized with a little photoshop poster - just for fun! 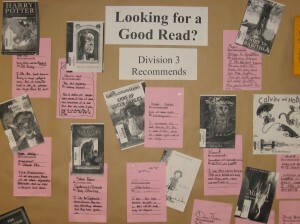 Our librarian helps to promote literacy by asking students from each division to recommend their favourite books for others to enjoy. 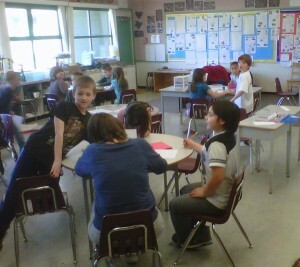 To increase collaboration, teachers have added more tables and couches. This teacher has removed the desks. A board in a classroom that highlights all the strengths and passions of each student. Posters, crests, and images like these are found in most classrooms at Kent School. Oops - how did this one get in there? 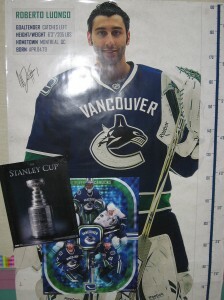 A poster that is prominent in our hallway - GO CANUCKS GO! ***Updated at bottom of post! We all look to be inspired – we search videos, read books, attend conferences, and meet with people who inspire us. Many times, we need not look further than our own playground; to make a difference in the world, we just need to listen to our children as it is they who can inspire us in a way like no other. Mackenzie, a grade 2 student at our school, went on to tell me how she had been watching TV and was inspired by a girl who was fighting cancer and needed to wear a wig. The two of us spoke for a few more minutes and we decided that Mackenzie, her mother, and I should come up with a plan on how the school could help. Mackenzie’s mom told me of the relationship the family had with the Cuccione Family and that Mackenzie wanted to donate $500 to the Michael Cuccione Foundation that raises money to one day help to eradicate childhood cancer. 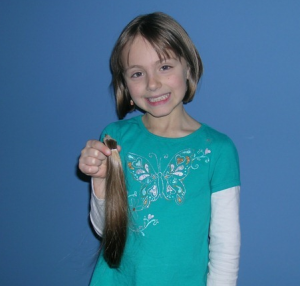 She also invites others to join her in donating her long hair (although the 2 initiatives are linked, Mackenzie’s plan is to donate her hair regardless of the amount of money she raises). It is amazing how inspiring kids can be. Mackenzie is one example of a child that wants to make a difference in the world. Please read the message from Mackenzie, watch her interview and support her and the Michael Cuccione Foundation. Hi. 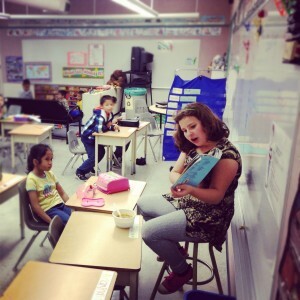 My name is Mackenzie and I am in Grade 2 at Kent Elementary in Agassiz. I have been growing out my hair for the past two years and now it’s time to get 10 inches cut off to be made into a wig for a child who has lost their hair from a disease. My goal is to raise $500 to be donated to the Michael Cuccione Foundation before I get my hair cut. Please help me in my fundraising efforts to MAKE A DIFFERENCE! Donations can be made through the school or through the charity’s website (click here). (If donating through the website please note in the comment section on the bottom of the donation page that it is for my fundraiser so that we can keep track of donations.) Thank you for your support! Please leave a message for Mackenzie in the comment box below. Thank you for reading and supporting her in this great cause! 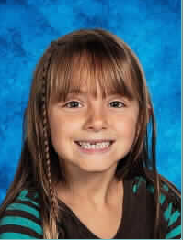 We wanted to thank everyone who supported Mackenzie by donating and/or encouraging her through her fundraiser. The hair cut was a little scary for her but she’s now loving her new short do! 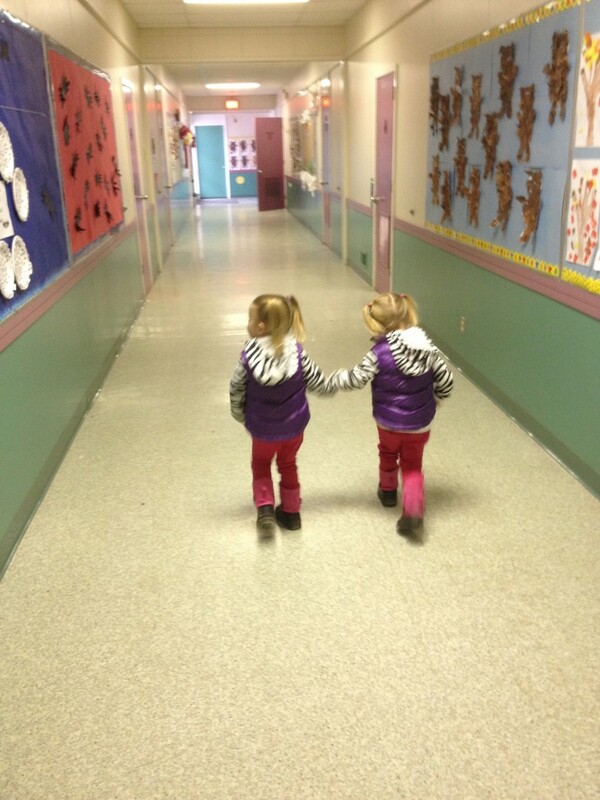 We all learned how generous people can be and that one little person CAN make a difference. Mackenzie is honoured to have her story placed for awhile on the Michael Cuccione Foundation’s website! We are VERY proud to announce that Mackenzie raised a whopping $2,485!!! Wow! Way beyond her goal and our expectations! Way to go Mackenzie! We are all very proud of you!